There are many cooler vendors out there these days that offer a backpack cooler, but none equal the features and price tag of the Engel backpack cooler. At more than $100 LESS than the other comparable products, Engel is leading the way with their new offering. This article is our product review of the Engel Backpack Cooler. The all new Engel Backpack Cooler is really something that needs to be seen to be believed. In the past few years, many different companies have been coming out with backpack and soft sided portable coolers as it is an ever evolving market. The simple fact is that Engel is taking the lead, and they proved it with their latest release. They have come out with a new backpack cooler that is super lightweight and ultra-portable. The all new durable heavy duty stitching and extra padded shoulder straps keep this super lightweight and comfortable cooler firmly in place. Whether you are scaling tough terrain, going out fishing or just taking a stroll to the ball field you will be covered. It also features easy to grasp handles for making loading and unloading the backpack easy. Instead of making multiple trips to and from the truck you can simply throw the cooler on your back freeing up your hands for fishing poles and the like. Plus, you can’t forget how awesome it is being able to skip the hassle of dragging a normal cooler through the sand. The new easy to remove internal bag makes loading the cooler with ice and drinks a breeze. It also allows for easy cleaning of the cooler as it can be removed and scrubbed down after each use. Engel has included 3 other compartments for you to carry around all of your gear with you in this one bag, not just things you are trying to keep cold. The double insulation keeps the cool in and the heat out or vice versa. You can carry your valuables in the front pocket and keep them safe and secure. There is even a small pocket on top right by the cooler to throw your sandwiches and snacks in to keep them from being crushed in the cooler compartment. Engel also sells reusable ice packs that slip directly into the two separate pouches on either side of the cooler. These are really handy as you can totally skip the trip to the store for ice and just get it from your freezer. One extremely overlooked feature of every cooler is being able to keep your food warm and that is something this cooler also excels at. These coolers are great on the beach, on the trail, and in the boat! We took the cooler out while boating and boy were we impressed. It kept our drinks cold for the entire day with limited melting. We still had three quarters of our ice left even after having opened it up multiple times throughout the day. The Engel backpack cooler even has non-skid soles on the bottom that prevented it from sliding on the wet decking and has D-rings on all four corners of the backpack. 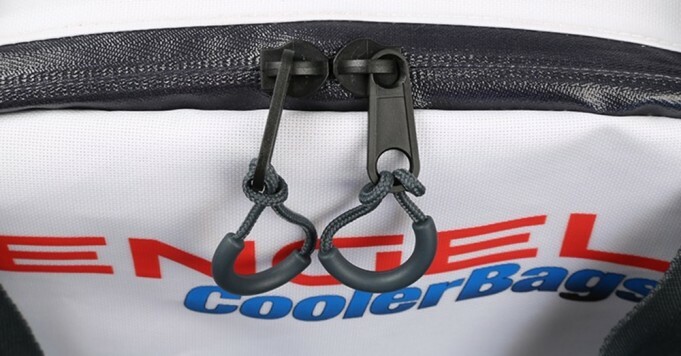 These are unbelievably handy as you can strap your cooler down to your kayak or boat during rough weather and not have to worry as to whether the bag will go overboard. This backpack has countless uses for the everyday outdoors man, or someone looking for an incredible feature packed and portable cooler. Be it going out on the boat to fish or spending a day at the beach the Engel Backpack Cooler will not disappoint. 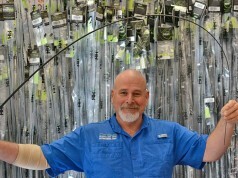 Pro Angler Scott Martin likes it too! There are many cooler vendors out there these days that offer a backpack cooler, but none equal the features and price tag of the Engel backpack cooler. At more than $100 LESS than the other comparable products, Engel is leading the way with their new offering. We highly recommend this cooler backpack by Engel, big time!